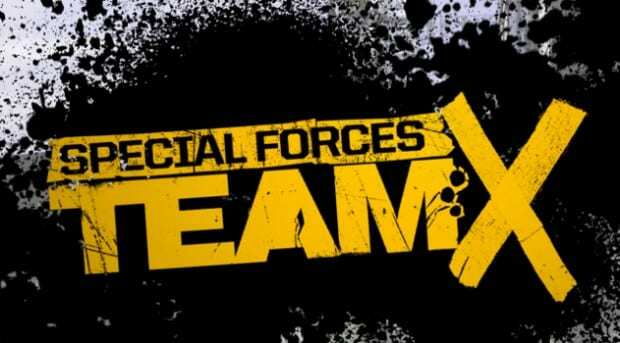 ‘Special Forces: Team X’ is a third-person shooter that features cover-based gameplay that’s similar to that of ‘Gears of War’. Also following suit of games such as ‘Viewtiful Joe’, ‘Okami’ and ‘Jet Set Radio Future’, ‘Special Forces: Team X’ is a game that utilizes cel-shading technology. However, while all of this may seem good to you, it is important to note that this game only features multiplayer. There is no single player aspect to the game. Still, I believe that this game is a worthy addition to your library of Xbox 360 titles. Don’t believe that a multiplayer-only game is worth $60? Well, neither does Zombie Studios. That’s why this game is an Xbox Live Arcade title, priced at just 1200 Microsoft Points ($15). The cel-shaded aspect of the game is a breath of fresh air, to myself and many other gamers. Too many third-person shooters and first-person shooters utilize the same styling of graphics these days. Sometimes it is hard to discern the differences between two shooting games, so the fact that this game is cel-shaded is definitely an advantage. Not only that, but it’s the way the entire game appears as a whole. The choice of coloring in the game is very nice and easy on the eyes, with nice contrasting too. The game outputs a very unique, cartoonish visual style, and it is this aspect of the game that redeems it from what it truly is: the same, specific type of multiplayer in a third-person cover-shooter type of game, over and over again. [singlepic id=10673 w=320 h=240 float=left]Indeed, the gameplay is not layered with a lot of variety. Yet for the specific gameplay that it does entail, it is very well crafted and, dare I say, tons of addicting fun. Don’t expect much of a story, or, well, a story at all, for that matter. What you can expect however, is a multiplayer system along the lines of ‘Gears of War’; run and gun and take cover behind certain objects. Now, while doing that over and over again does not sound like the highest pinnacle of fun for some people, I must say that it can be quite a fun gaming experience. For me, and gamers like me who can play a certain type of multiplayer gameplay for hours at a time, this game is tons of fun. The pricing can’t be beat either. For $15, this Xbox Live Arcade game is definitely worth it; if you’re into cover-shooting gameplay, and don’t get tired from it after a fair amount of time. The game is stylized by a certain type of technology called a “tile system”. This tech composes a unique map for every time one plays the game, and the mapped areas are chosen by the players themselves (in the game lobby, before the start of each new game). So, certain objects will be moved about each time you play, allowing you to experience a new, fresh environment to play in, every time you play – especially with over 100 possible map combinations. The ability to customize this kind of feature is pretty unique, and a great bonus that definitely adds longevity to the title. In fact, a lot of the game is customizable. From customizing your weapons to your appearance and even to what types of taunts you want to use. Yet another cool thing about this game is that the guns are modeled after their real-life counterparts. I’m not much of a gun geek in real life, but I’m sure that will please the many gamers that are. [singlepic id=10674 w=320 h=240 float=right]So, some others may feel that this is only half of a game, as it essentially is only a multiplayer game, and a certain-styled one at that. However, if you find yourself playing hours of multiplayer in games such as ‘Gears of War’, then this may be a game for you. Although the entire game might feel like just a portion of a game, the pricing also feels like just a portion of a typical price for a game, so it wages out. The game also has some neat elements, such as chainsaws and attack dogs, that make it not all run-of-the-mill. I should also note that there are current bugs in the game, such as rankings that keep resetting themselves, yet things like that will hopefully be patched out over time. Overall, I find that this game is enjoyable for what it is, and it’s fair to say that it doesn’t try to be anything else than what it is: essentially only a multiplayer game. It’s a fun one at that, so I do indeed recommend you play it if you’re into this type of gaming. I was five years old when I played my very first videogame: 'Super Mario All Stars + Super Mario World' (on the Super Nintendo.) Although, that was back in 1996, during the beginning of the Nintendo 64 timeline. Thus began my trend of always being one console behind. I owned a Nintendo 64 during the days of Xbox and PlayStation 2; and I owned a Game Boy Color during the prime of the Game Boy Advance. It was only until recently that I have started keeping up to date with the current console timeline. I bought an Xbox 360 during it's launch, and it is my gaming platform to this very day. Now hoping to someday own a PlayStation Vita, and a non-craptastic PC, I am also hoping to keep up with the gaming industry from this point forward. That is, until I become too old to care to keep up with technology. Or until I'm too old to remember my name, or something like that. You know, looking on the bright side of things.